Ahhh Spring – season of love, new beginnings, and Mayan-predicted 2012 cataclysms. Monsoons, tornadoes, and golf-ball-sized hail. Perfect time for Molehill to hit the road! It all started on Friday. 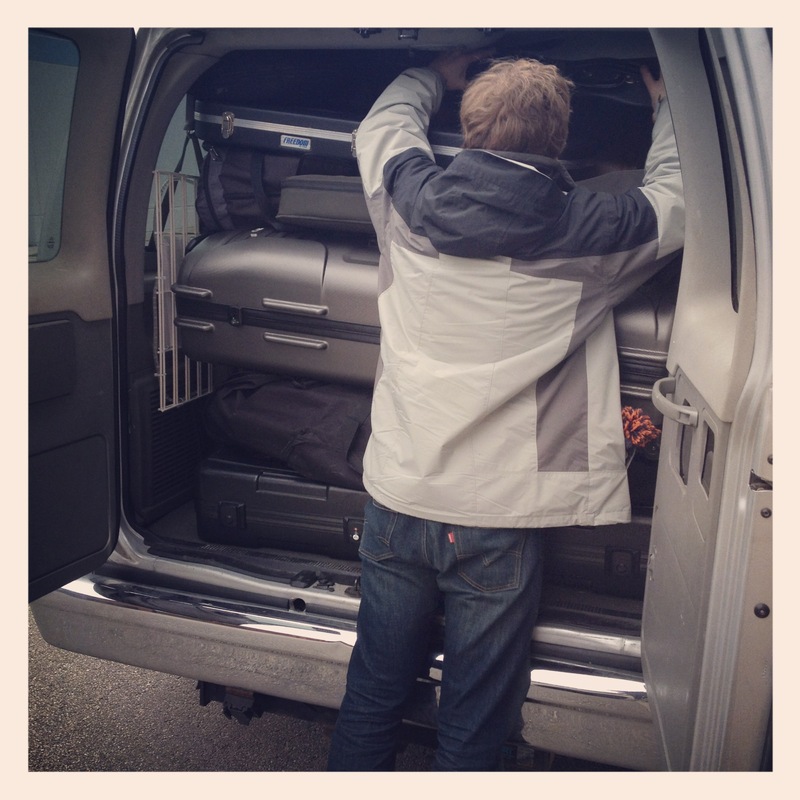 Like any other tour, we gathered at the rehearsal space, and I did my patented Manhart gear-packing job in the Silver Bullet. 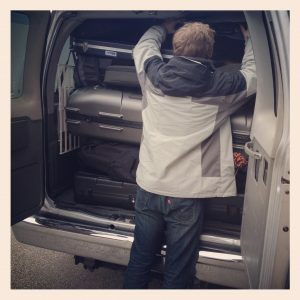 Note the near-perfect alignment of the cases, and the deft precision with which I maximized van space. 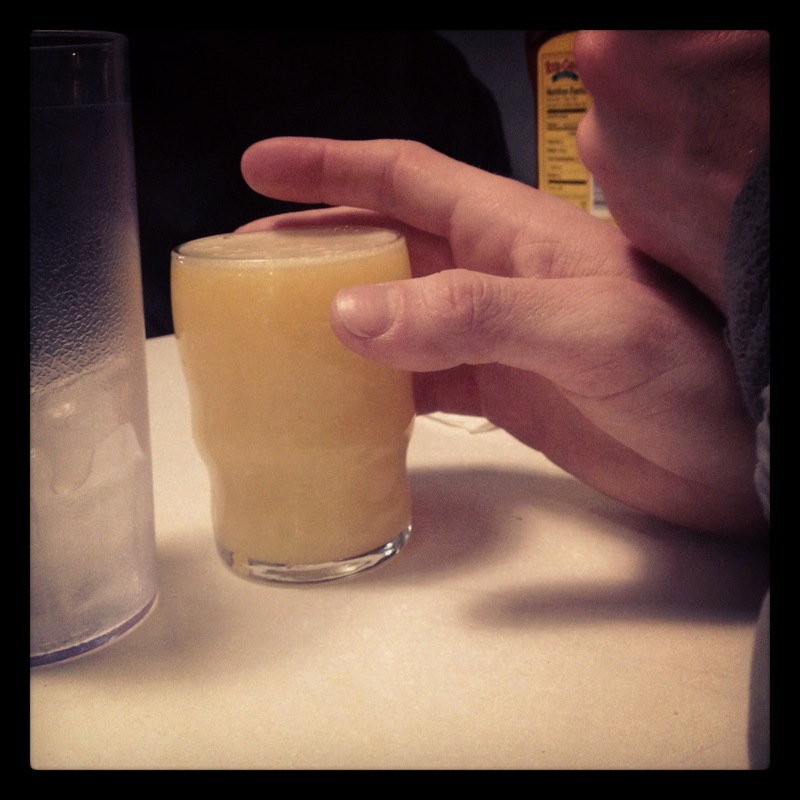 Saturday – missed us again, Mayans! Two weeks earlier, we lucked out and weren’t hit by the tornado everyone was predicting in Omaha. However, we did get drenched by monsoon-type rains and the Silver Bullet got a flat tire. This Saturday, we narrowly missed a storm of the biggest hail we had ever seen – literally golf-ball-sized hail – in St. Louis. The aftermath was insane. 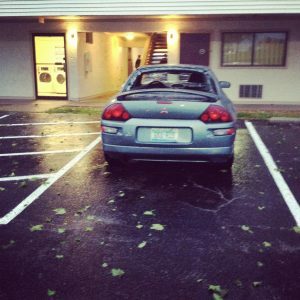 Everywhere we looked, rear-windshields of cars had been smashed by the hail. One of the bands we were supposed to play with even canceled because their van’s windshield got smashed. We count ourselves very lucky to have missed the storm. It looked like it happened just before we got to town. 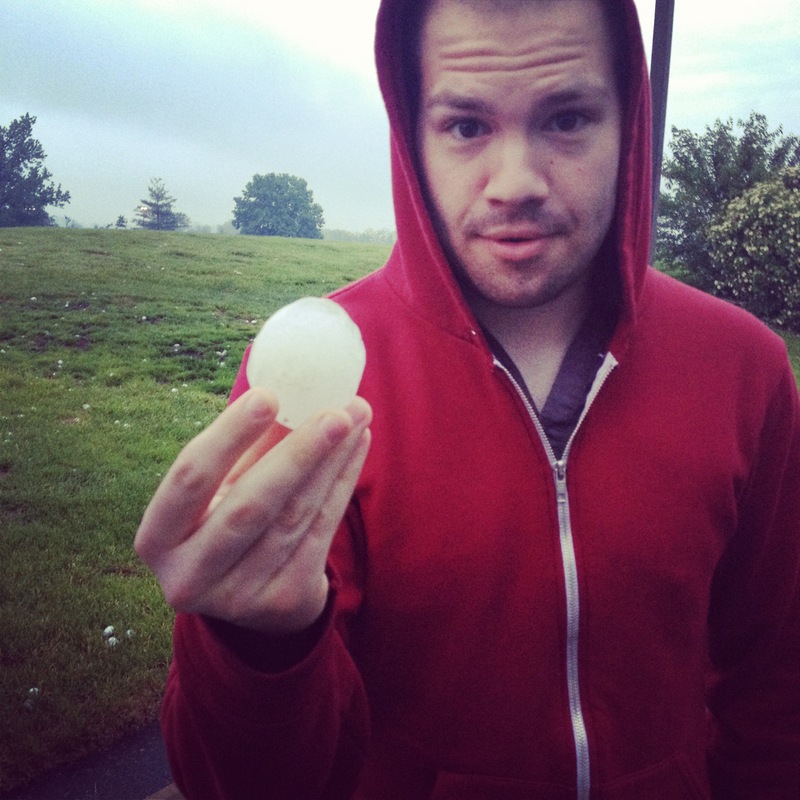 According to Greg, the hail must have been the basketball gods crying at the news of Derrick Rose’s torn ACL. Best wishes to anyone who was hurt in any way by the storm, and to Derrick Rose. Our hearts go out to all of you. Eventually we were able to pull it together, get to Lemmons, and play our set. Despite the storm, a good crowd still made its way to the venue, and we were able to play for and meet some great people that night. Big thanks to Cher Ami for playing, and to everyone who came to see the bands. 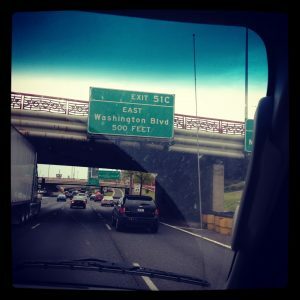 We can’t wait to see you all again next time we’re in town! The rest of the night went as planned. Devin took the 1am Megabus home so he could play at church the next morning, and the 3 of us remaining got some sleep and made the quick 5 hour drive home the next day. All in all, it was another great tour, and we are thankful to have had the opportunity to play the music we love for so many wonderful people! Thanks to everybody who supported us along the way, and we’ll see you again soon! It’s nice to be home, but I think we’re all ready to get back out there and play again. Luckily, we only have to wait 5 days until our show in Milwaukee. 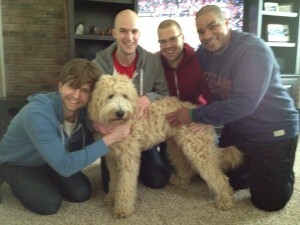 In the meantime, I will leave you with a picture of the band and my new favorite dog, Miles. This was where we stayed in Champaign – with our lovely friends Brian and Cheryl Precious – and I seriously fell in love with this dog. Miles, if you’re reading this, stay strong, and I’ll definitely come visit you next time we’re in Champaign.